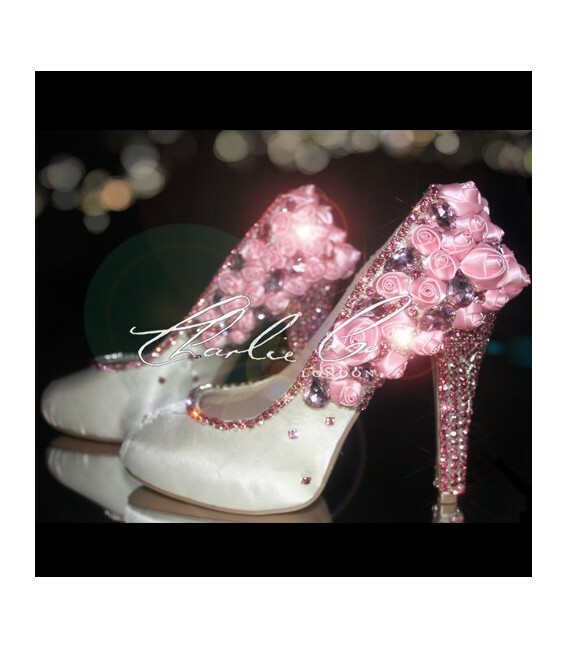 If perfection is what you want on your big day then consider these pink satin rose crystal heels. 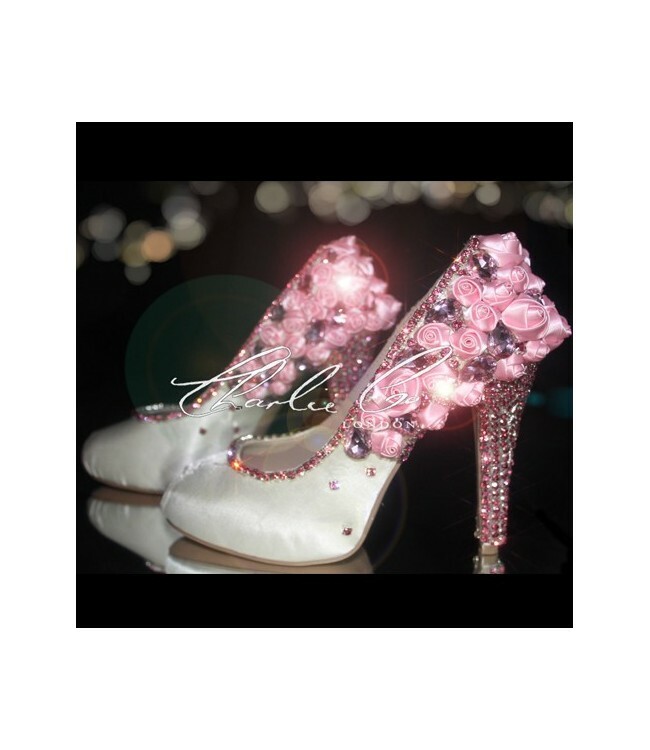 This pair of bridal heels is simply made for glamor. 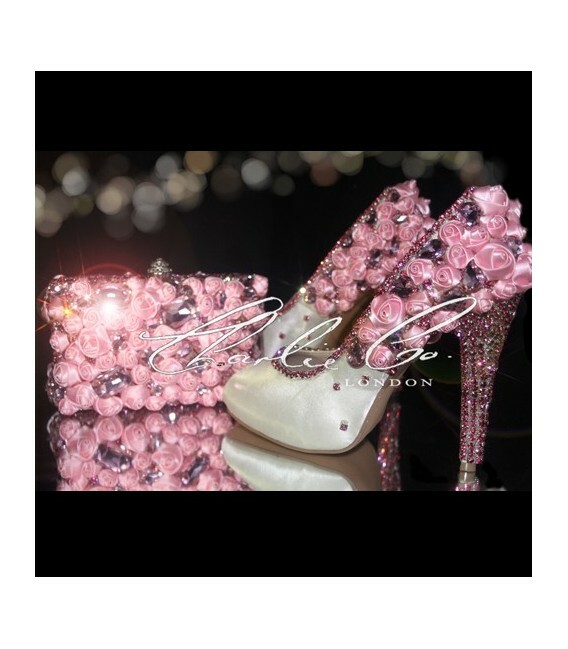 Nothing brings out the beauty and perfection of a big event than a well thought of pair of shoes. These leather shoes are designed with a comfortable heel to enhance your height. The front part of the shoe is plain and bears a peep toe design. 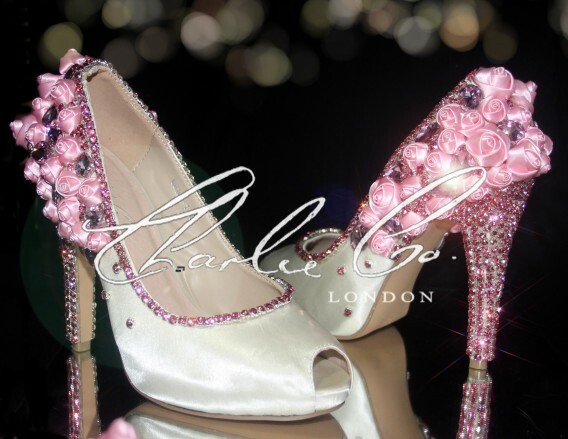 The shoes quickly take a dramatic yet glamorous turn towards the other half of the shoe towards the back. It is embellished with soft tight satin roses detail. Within the roses are large pink crystal jewels. 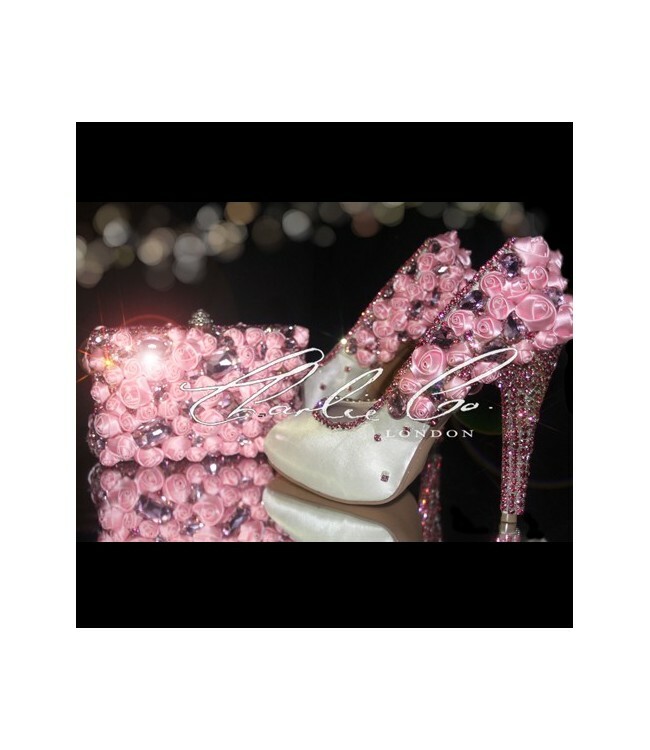 These shoes are then laced with pink glass cased crystals. The attention awarded in the making of this shoe is evident in the details.